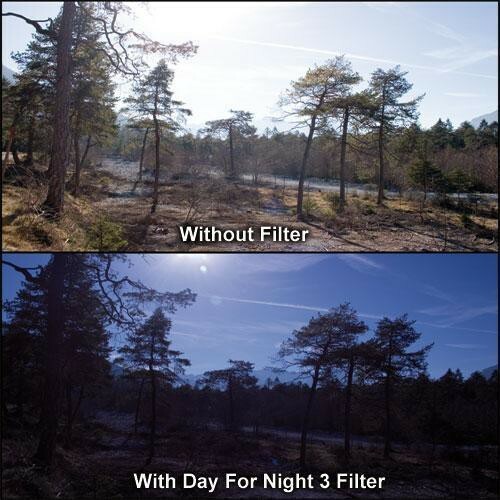 The Formatt 138mm Cool Day For Night 3 Filter is an alternative way to achieve an evening effect without the added expense of shooting at night. It adds a bluish/lavender effect of low contrast quality. This filter can be a real time and money-saver since it negates having to retain an entire crew on overtime when the sun is down. It also creates an unusual effect slightly different from traditional filming at night. Some detail will be obscured but the overall night effect is quite pleasing and effective.